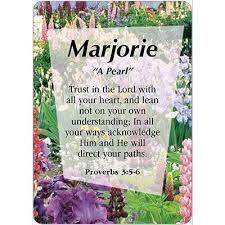 I am trying on the idea of changing my name. After 35 years living legally as Marjorie Elaine Orellana, or, in my professional life, in a hyphenated state (without actually using a hyphen), as Marjorie Faulstich Orellana, I am preparing to cut off the last six syllables of my public persona, and privilege my given names, not the ones I inherited or married into: Marjorie Elaine. 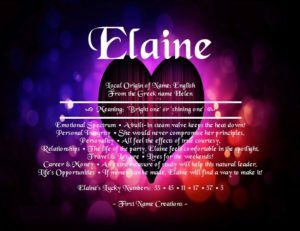 To make “Elaine” sound a bit more like a surname, I’m leaning toward Marjorie E. Laine. 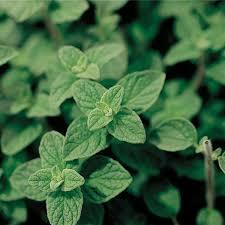 That rolls off the tongue easily; I could gloss it as Marjelaine or Marjolaine (which happens to be a lovely herb). I had thought my choices were to continue to walk the world as Marjorie Elaine Orellana (my legal name) or to file for an official reversion to my “maiden” name (Marjorie Elaine Faulstich), returning me as the person I once was: the sixth child and third daughter of Anna Marie Walter and Charles Nicholas Faulstich. But this left me feeling tugged between two poles of patriarchy that no longer served my life. I’m not sure I would know how to re-become Margie Faulstich. Nor would I necessarily want to. Sharing drafts with a few friends and family members, I have been inviting responses. Reactions have helped me to consider things I want to examine further. I am sure that work will continue as I try on the idea of becoming Marjorie E. Laine, and see how the world responds to her. So while I am not looking for opinions about whether or not I should make this change – that’s something I need to decide for myself – I welcome your thoughts about names, choices, and life transformations. I walked the line in ’89. I was a teacher in Los Angeles Unified School District when the teachers’ union (UTLA) led the last teachers’ strike. Thirty years later, I see things from a somewhat different angle. 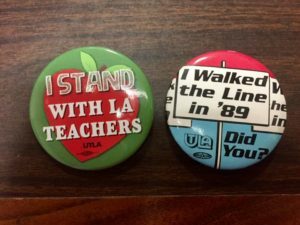 I’m happy to report one big difference between 1989 and now: LA teachers asked for – and won – much more than a modest and well-deserved pay raise for themselves. They advocated loudly and clearly for the rights of children and families in a public education system that has been severely eroded over the years since I left the classroom. Thirty years later, overcrowded schools are not the biggest problem LA schools face. That is in large part due to gentrification and the exodus of students from public to private or charter schools – the continuation of a long process of “white flight” and a growing abandonment of everything public by those with the means to buy services. But overcrowded classrooms are a real problem, with upwards of 45 students squeezing into many classrooms. And support staff has shrunk even more. The strike called attention to these issues. 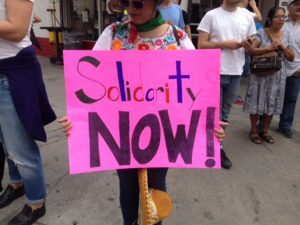 The resolution of the strike does not mean that these problems are resolved, but at least there is an awareness of them, and some effort to address them. In the 1980s there were groups within UTLA who advocated for the rights and needs of the children and families. 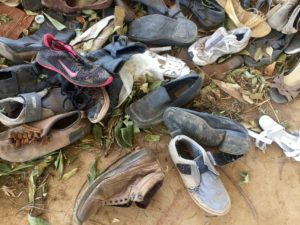 I worked with the Teachers Committee on Central America to support children whose families had fled civil war in their home countries — wars that were fueled with U.S. dollars and that left a legacy of violence that reverberates in the current migration crisis, which in turn shows up as trauma in our schools. In the Human Rights Committee, we highlighted the U.N. Convention on the Rights of the Child, which calls for devotion to the best interests of all children, regardless of nationality, and for protections for children’s health, education and well-being. This convention has been ratified by all members of the United Nations except the United States. The advocacy work for children and families that was relegated to special UTLA committees in the past are at the center stage today. The union made the issues of investment in community schools, special education, early childhood and bilingual education central to the strike. From my current standpoint, I know that there are no easy solutions to entrenched social inequities. But Los Angeles teachers gave us all the opportunity to publicly ratify the human rights of teachers, families and all children, and to call for an end to the erosion of public education in the second largest school district in the nation. Thank you to UTLA and to the teachers of LAUSD. 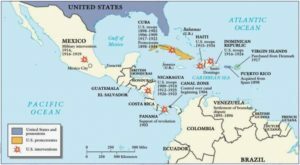 “Don’t invade our country,” Central Americans might well have twittered back. What goes ‘round, comes arou nd, and whether you believe in laws of kharma and the spiritual interconnectedness of life on this planet or not, there is plenty of evidence that the “crises” we see today were initiated long ago by actions that our country took. And the actions we take today will have profound effects on the future. In most of the reports I have read about the “immigrant crisis,” there is some recognition that there are reasons families take the tremendous risks they do to cross the border into the United States – a migration that costs thousands of dollars and potentially their lives, with no guarantee of success. These reports usually mention the rampant gang violence in Central America, and sometimes domestic violence as well. 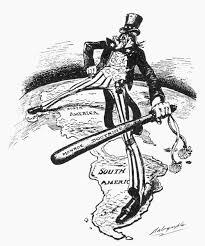 But there is scant mention of the role of the United States played in begetting that violence, through “interventions” we took over the last century. Interventions, by their very name, involve a disrespecting of nat ional sovereignty, borders, and the rule of law. They are achieved militarily – i.e. through violence. Take the case of Guatemala. In 1954, the CIA engineered a coup that overthrew the democratically-elected presidency of Jacobo Arbenz, because Arbenz had instituted land reform that threatened the U.S.-based United Fruit Company, which was owned by Allen Dulles, brother to CIA director John Foster Dulles. (For details on this history see Steve Kinzer’s book, The Brothers: John Foster Dulles, Allen Dulles, and their Secret World War.) 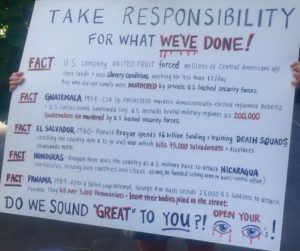 This ushered in fifty years of military dictatorships that were supported and funded by the United States, leading to the “disappearance” or murder of some 200,000 civilians and a legacy of violence that now reverberates in everyday life. My point is simple: violence begets violence; for every action there is a reaction; and what we do today will have profound effects on tomorrow. The United States’ recent decision to separate young children from their families at the border, regardless of their requests for asylum (asylum from violence that we are implicated in), will have repercussions far into the future: trauma layered on historical trauma. Recognizing our own role in creating these conditions would offer us an opportunity to right the historical record, to repair, restore, and set in place a different legacy. Let me end on a more uplifting note. Last week’s international efforts to rescue the soccer team from the cave in Thailand shows the good that can happen when people come together to support life, not thwart it. While some psychologists have warned that the boys may be traumatized by their experience, all reports thus far are that the boys are happy and at peace. This is likely due to the great efforts their coach took to care for them during their time in the cave, and to ensure that they cared for each other. And now, the mothers of the boys are promising to help “heal the heart” of the young coach who is suffering from his feelings of responsibility – such a different response than the press seemed to expect from the parents. A situation that could have been tragic, traumatic, and full of blame or shame, has become an opportunity to see the power of interconnectedness, the good that can happen when we work together, and the healing power of care. As a favorite podcast reminds me (https://www.oneyoufeed.net/), we can choose how we respond to any situation in the world, and how we choose matters for what we set in play. There seem to be many forces that perpetuate violence and negativity, but with just a little conscious effort, we might tip the balance toward positivity and love. Indulge me with a birthday blog. A bit of self-indulgence on our birthdays is ok, no? 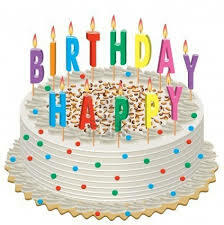 However, my birthday blog is not really about birthdays at all. It’s about the other end of life. I hope you’ll read on, and trust that I’m not suicidal. Why am I thinking about death? Why not? We all should, really. We plan for everything else. Schools these days are very concerned with making sure toddlers are ready for preschool, preschoolers transition properly into kindergarten, elementary school students to middle school, middle to high school, high school to college, college to the work force. But after that, we mostly stop preparing for what will, eventually, come next. In this sense thinking about death is not really a divergence from my work in education. We might educate ourselves and others very differently – and live very differently – if we really, truly, fully, grasped the fact that we all will, someday, die. How would we treat the people on this planet, and the planet itself, if we viewed all life as precarious, and precious? How would we live each moment if we knew that whatever words we say could be our last ones, or the last ones our loved ones heard from us? Let me be clear. I do not think young people should have to wonder such things each morning when they walk through their school doors. But I do think that schools do a disservice to young people when we suggest that if they keep their heads down and put all their attention on their futures they will live happily ever after. 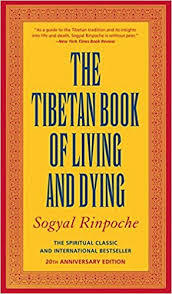 Sogyal Rinpoche’s interpretation and elaboration of The Tibetan Book of the Dead (in The Tibetan Book of Living and Dying) offers a refreshingly different perspective on life and death than the dominant “denial” that permeates modern western culture. 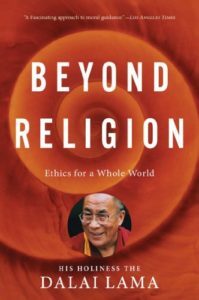 Rinpoche suggests how “hollow and futile life can be, when it’s founded on a false belief in continuity and permanence” (p. 17). He describes the way most people live: “Hypnotized by the thrill of building, we have raised the houses of our lives on sand. 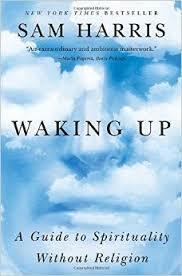 This world can seem marvelously convincing until death collapses the illusion and evicts us from our hiding place” (p. 16). 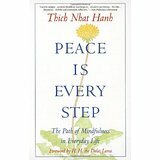 My children encouraged me to read The Tibetan Book of Living and Dying. They understand more about what really matters than I surely did at their age, when I was busy trying to “get through” college, establish a career, raise a family, get tenure, write a book, build a life…rather than just living the one I was in. Thinking about death doesn’t have to be morbid – except in the literal sense of that word. Nor do I mean to diminish the pain we feel at the death of loved ones – a pain that is felt deeply around the world right now. Embracing this moment also doesn’t mean we should close our eyes to the work that needs to be done to make life better for more beings on the planet both now and in the future. It doesn’t mean we stop all preparation for what could lie ahead. But recognizing our own mortality can help us to take less seriously the things that don’t matter, and more seriously the things that do. So as my birthday gift to readers, I wish you a day full of wonder, grounded in a deep recognition of the impermanence of all things. I hope you will be fully present wherever you are. Kiss your children, tell someone you love them, put a pause in your plans for the future, take a deep breath and remember that this day, this moment, this juncture of the time/space continuum, is a gift, not guaranteed. 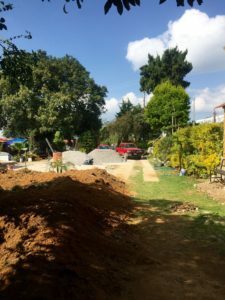 As part of my fall sabbatical, I had the opportunity to visit Tlatempo, Mexico, a small town in the hills above Cuernavaca that was partly destroyed in the recent earthquake. About half the houses in the town were located directly on an earthquake fault, and they were reduced to rubble. The community school also had crumbled. I accompanied Dra. Alicia Valencia and a group of her students from the Universidad Pedagógica Nacional – future teachers who were learning with Alicia about community-engaged-pedagogy. 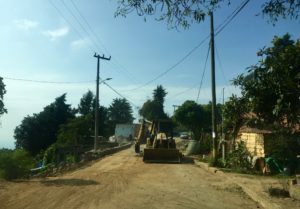 They were accompanying the community in a variety of ways: working with children, listening to parents, offering meditation and yoga sessions, and helping with a myriad of reconstruction tasks. 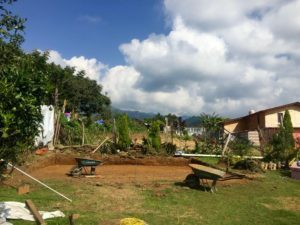 Rogelio is re-building his home and he knows that he will appreciate it all the more for having seen how easily things he love were lost. I take inspiration from his words and will carry them to the future teachers I work with at UCLA. Part of my own post-cancer, post-divorce, post-life-falling-apart healing process has involved looking deeply at the psychodynamics of my own life decisions – trying to make more conscious things that were not fully so. This feels important to explicate in relation to the matter of “splitting” that I discussed in the previous blog post. For some time, I have struggled to understand what it was that drew me to cross linguistic and cultural borders in my own life, as I moved from a homogeneous, English speaking, white working class, mostly Catholic community to an elite institution of higher education and then ran fast and furiously from that world of privilege into community organizing and teaching. What is my own confusing relationship to my class origins, my whiteness and privilege – especially the privilege that I speak from today, as a white, English-speaking, U.S. full professor at an elite institution? What I have been seeking are not explanations for my own border crossing that allow me to feel good about myself, or superior to others (e.g. to those members of my family and community who have not chosen to cross cultural or linguistic borders very much in their lives). Rather, I have been trying to understand what I was pushing away from, differentiating myself from, or “splitting” from myself – and what it would mean to reconcile those aspects with other parts of myself that I have more consciously chosen. My aim has been to understand something about the kind of healing work we have to do as individuals, as a nation, as a world, if we ever hope to get past the things that are dividing and killing us. I have come to see that in pushing away from the seemingly myopic, limited, homogeneous, monocultural, working class town I was raised in – by learning Spanish, marrying an immigrant (refugee) from Guatemala, moving to California, becoming a bilingual teacher, and working in immigrant and refugee issues for my entire adult life – I was not just embracing new communities, I was running away from something in myself. This is the kind of psychological splitting that I discussed here. Essentially, I created an “other” – the people from my family or community that I left behind. In “othering” them, I didn’t have to see things in myself that I did not want to see. This involved some unspoken shame for whiteness of a working-class variety. In fact, I carry the “limited, myopic, provincial, monocultural” community that I came from in me; it is not something I can run away from or leave behind. I need to look at how it shaped me and own parts of myself for which I feel no pride. But that community is perhaps not the things I have labeled it as, or certainly not just those things. It is filled with loving, humble, good, if imperfect (like all of us) people, who have been shaped by their experiences in the world. I carry them in me as well. Most importantly, I can choose the values I want to live by, not be bound by these aspects of my identity, and try to hold myself accountable to my values. This is the kind of healing work we need to do as individuals, as well as in the world. I am attempting to name my experiences in this way, and connect more fully with all aspects of myself, not in order to “confess,” nor to elevate myself or my own experiences, but to seek lessons for healing in the larger body politics. I recognize that I have more work to do, as we do on the planet as well. I haven’t written in this blog for almost a year. I haven’t known what to say, so I’ve mostly been listening. What words can I possibly offer to the world that will make any kind of difference in the state of affairs in which we find ourselves, as a nation and a world: the resurgence of overt forms of white nationalism, xenophobia, misogyny, racism, hatred and vitriol; violent expressions of rage and social unraveling such as was evident in the Las Vegas terrorist rampage; regressive policies that undo gains made over the last eight (or fifty or more) years on the social, civic, environmental and other fronts; massive destructive impacts of climate change on vulnerable populations all around the world (Puerto Rico, the Caribbean, India, Bangladesh, West Africa); the renewed threat of nuclear war; growing social divisions of all kinds; and more? 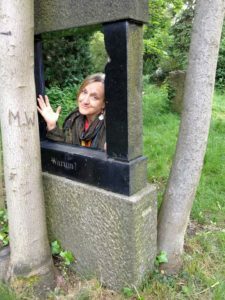 How can I speak about the things I believe in, and want to build up: love, kindness, compassion, empathy, transcultural understanding, joy and play – without denying or ignoring the tremendous pain that reverberates around the world? But I’m convinced that where our attention goes, energy flows, and what we resist or fight against directly, we make stronger. When we find openings and build on them we make stronger the things we want to see grow. How to define something that humans seem to understand in a way that surpasses words? 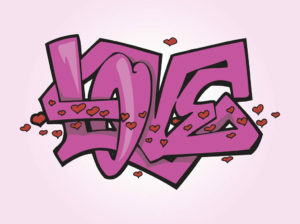 I’m reminded of an image of graffiti on a New York subway wall: Love is Love. In my writing about love to date – e.g., in my (2016) book, Immigrant Children in Transcultural Spaces: Language, Learning and Love – I have resisted extensive complexification of this phenomenon that is so fundamental to the human experience, and yet so elusive. I rather loosely defined love as a force that helps connect us with others and with the larger world; as a quality of being and moving in the world; as a stance that allows us to see potential more than obstacles; and a force that animates learning, from within. 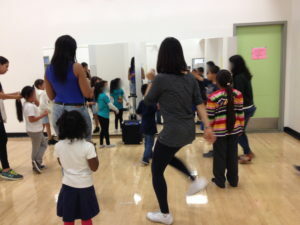 My aim was to show how, in the after school program that is the center of my praxis in Los Angeles, we use love for words, the world, and the people we are learning with and from as “animators” of learning, and to consider how participants respond and engage in this space. But perhaps I can do a bit more here, and better connect with the ideas of others – the many philosophers, poets, theologians, musicians, revolutionaries, and social scientists of different stripes who have given homage to love. I will attempt to bring some of these ideas together, with a focus on love in relation to education and social transformation. Readers can decide just how helpful it is to try to pin love down in words; I’m certain I will not succeed in “getting the words just right,” and that there will be both more and less that could usefully be said. I hope readers will add to the conversation if you are moved to do so. 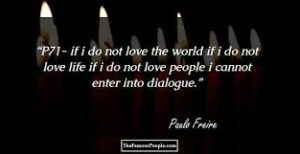 Love can be considered a fundamental human drive for connection to others (Maslow, 1970) and to the world (Freire, 1978), and an interactional disposition that can help us transcend barriers between the self and other (Badiou, 2017). 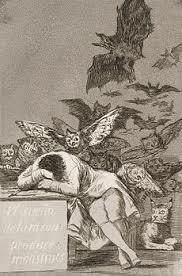 It can be a force that helps calm the “monster” that the egoic drive to be “right” creates (echoes of Francisco Goya’s “el sueño de la razón crea monstrúos”), and one that helps us get in touch with our feelings and spirits more than our minds, seeking “positivity resonance” (which Frederickson, 2013:10, defines as “micro-moment(s) of warmth and connection that you share with another living being”) over opposition. Revolutionaries and critical social scientists have considered love as a driving force for social change. Love serves to re-humanize oppressed peoples whose humanity has been stripped from them by the larger society, and awaken critical consciousness. For Paolo Freire (1970) love was “an act of freedom” that should be used to propel other acts of freedom; it is “at the same time the foundation of dialogue and dialogue itself.” Chela Sandoval (2014) builds on the ideas of Freire as well as Che Gevara, Franz Fanon, Emma Pérez, Trinh Minh-ha, Cherrie Morega to posit love as a hermeneutic, a “decolonizing movida” to propel social change. Adopting loving orientations toward ourselves and others as a revolutionary practice helps us to seek out potential goodness and create hope. While most working from a left, progressive, “critical,” or revolutionary tradition have focused on love for and within oppressed populations, Sandoval (2014) suggests that love can help “transit all citizen-subjects, regardless of social class, toward a differential mode of consciousness.” James Baldwin (1963), as well, saw love as humanizing force for all people, including for oppressors who project their own unresolved pain onto the oppressed. 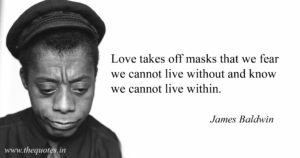 Baldwin saw the opposite of love – hatred – as a force that does not just dehumanize the object of hatred, but that destroys as well the one who hates. One of my main aims in talking about “love” has been to challenge the Cartesian divide: the distinction between mind and body, spirit and intellect that was reinforced and developed in the European Enlightenment and the rise of what we know as Modernity. This is also a split that severs the body from culture and that privileges the masculine, narcissistic subject (Irigaray, 1996) (which is key to why love is seen as “soft” in the masculinist worlds of academia and politics). 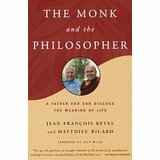 I am following a long line of philosophers and scholars who have called for a transcendence of dualistic thinking and reintegration of intuitive or non-rational dimensions of human understanding with the rational, linear, logocentric mind processes that assumed ascendency in the last few hundred years, as I detail briefly (without the depth t hese ideas deserve) here. This is not a call to abandon “scientific” (or masculinist, rational, mind-driven) ways of knowing, but to re-balance binaries that have gone awry. Transcending the Cartesian divide involves a call to heal from the kind of psychological “splitting” that humans have done, both individually and collectively, in many different ways, across time and social contexts. Indeed, what has most propelled me to try to bring non-academic, non-rational (i.e. “spiritual,” for lack of a better word) ways of thinking into academia has been a conviction that there are limits to what we can understand and do with our rational minds, and that if we really want to effect fundamental change in the ways humans orient to the world and to each other, we need to identify ways of transcending or transforming the separating tendencies that seem to compel our species, again and again, to identify groups of “us” and “them,” creating scapegoats, and constructing dehumanized “others,” in-groups and out-groups based on race/ethnicity, religion, politics, national affiliation and more. The philosopher Alain Badiou (2012) suggests that love is what facilitates this, because “in love the other tries to approach ‘the being of the other.’ In love the individual goes beyond himself, beyond the narcissistic…you go to take on the other, to make him or her exist with you, as he or she is.” ( 18) Schwab (1988, in Uraña, 2017) sees love as a force that allows “coming to the other in recognition of the negative in the self.” Abhik Roy (n.d.) draws on Hindu spiritual traditions to call for “viewing ourselves in others” and engaging in authentic dialogue with strangers without either distancing ourselves from the other or objectifying them on the basis of their differences with us. It is this power of love for rising above differences – finding some measure of love for those whom we find hard to love – that interests me, in terms of how we can use this force in transcultural dialogues. Of course this is challenging, and risky, especially when crossing lines of privilege and power. But lines of power in any social group are generally multiple, complex, variegated, overlapping, shifting, and fraught with tension. The aim does not have to be to resolve those tensions as much as to use the tension in generative ways. Irigary (1996) sees love as an “intermediary” that refigures Hegelian dialectical relations not by synthesizing them into a new whole (as Hegel would), but by serving as a passage between dialectical opposites without one side being sacrificed to the other. This involves defying binaries of either/or, us/them, true/false logics that undergird Western thought: challenging the ontologies that hold things apart. This is not just a psychological or philosophical matter. As an educational researcher, I am interested in how to create spaces where “splitting” does not happen or is interrupted and transformed when it does. Empirically, we might identify structures, politics, policies, and practices that either promote or mitigate against such splitting. How do we reconcile the idea of accepting others, as they are, with that of teaching, developing, socializing, re-socializing, emancipating, empowering, or decolonizing others…or changing the world? This is a tension that is central to all educational and revolutionary work. What is the role of teachers, leaders, guides or mentors in leading others to freedom or growth? Who decides just how individuals, groups, or society “should” change? Are there loving ways to support others (and ourselves) in growing without imposing particular kinds of growth on anyone? bell hooks (2000) argues that a loving approach to pedagogy does not mean accepting whatever people do or think. True love involves helping others to stretch and grow, even if that growth is at times uncomfortable. Freire (1978), in his “pedagogy of the heart,” doesn’t call on people to try to change people, exactly, but to use our wisdom, knowledge, skills and experience to help liberate others, to bring them to greater consciousness, and to support their full expansion as human beings. But again, who does the liberating, or helping, and who decides just how others “should” grow? In educational work, it is difficult to escape the teleological position that presumes that some people are more fully conscious, more highly developed, or more advanced than others, and that it is the work of those greater experts to draw novices into a developmental path – even if, for Freire, the process should be dialogical. In an edited volume about love in relation to childhood, teaching, and learning, Gail M. Boldt and Paula M. Salvio (2016) explore the contradictions and tensions that are set up in non-dialogical approaches to education, when teachers are simultaneously expected to love their students, and to mold and shape them in particular ways. They argue that to really understand the dynamics of power in love, we need to consider psychodynamic processes, in which people (teachers, students, parents) project their own feelings of inadequacy, loss of control, frustration, confusion or pain onto students when students do not conform to their expectations or respond in the ways we think they should. Putting these ideas together, as an educator, I am interested in what helps people to see others (truly and deeply), and supports them in growing, without trying to change them per se. How do we support growth and learning (for ourselves and others), without creating resistance, projecting our own frustration or hurts onto others, and without presuming that any one of us knows exactly how to help others (or ourselves) to grow, or how to transform the world? As an ethnographer, I am interested in studying spaces and places where these things become (more) possible, and identifying factors and conditions that cultivate them. Love and education do not substitute for social action and structural change, but an accompaniment to and motor for that action. Getting in touch with deep feelings of connection and empathy for other human beings may propel us to take action to reduce suffering. Certainly, love can go hand in hand with anger, rage and indignation. Indeed, a love that seeks to counter the forces that divide and oppress must allow room for such emotions to be expressed as well. The element of love is just that which helps us rise above the resistances and blocks that we put up to fully seeing others, and to supporting their growth. Again, we can consider this an empirical question, not just a psychological or philosophical one. What practices, processes, politics and pedagogies can help people to see themselves in others – e.g. the images that arise daily: those whose homes were flooded in the Caribbean, India, Bangladesh, Florida, and more, or burnt to the ground in California and the northwest; the young Black, Native and transgender people who have lost their lives at the hands of police officers; police officers who were themselves killed doing what they thought was their civic duty; those killed in mass shootings; and so much more random and patterned violence of all kinds? Once people “see the other in themselves,” what actions are they willing to take, that they might not otherwise? And, what gets in the way of empathy? I am not a philosopher, psychologist or theologian, so I am undoubtedly out of my depth in conceptualizing love in these ways. Professionally, my forays into “love” have been anchored in my work as a pedagogue, and an ethnographer of children’s experiences in homes, communities, classrooms and other contexts. This pushes me to take on a different kind of challenge: What does love have to do with ethnography, and how can we possibly “study” love on the ground? I offer a few possibilities here – and once again, invite further conversation. In the ethnographic methods class that accompanies B-Club, we follow Sandra Harding’s (2016) calls for “creat(ing) missing diversity in research communities” in order to bring novel kinds of insights to research projects. 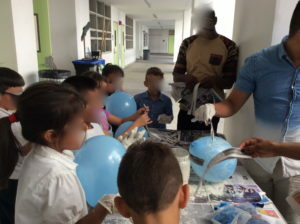 In our classes and on our team, we try to work with the fact that we are people of different ages, genders, social positions, cultural, linguistic, racial/ethnic and social class backgrounds, who are therefore likely to see the world in different ways. We considered why one student highlighted gender issues, and another social class. We wrestle with how and why we each noticed what we noticed, missed what we missed, and interpreted things in particular ways. What was foregrounded? Backgrounded? Left out? Who did we see as the protagonists of actions, or the objects of them? How did we take the messiness of life and transform it into a neat narrative, with a beginning, middle, and end? What, to us, was the story? From what or whose perspective did we narrate the events? We aimed to learn from all of these ways of seeing in order to enrich our own, and to see collectively in more whole and complete ways. Working with children offers us many opportunities to try to see the world with fresh eyes, and in our work at B-Club we continuously push against the “adult ideological viewpoint” as we try to see how children understand the world they are growing in to. This doesn’t mean abandoning the critical analyses we may bring based on our greater number of years on the planet; it just means holding them lightly, and seeing how they fit with children’s views of their worlds; considering that there can be different truths, or different ways of understanding the complexities of the world. Most importantly, we might learn from kids. 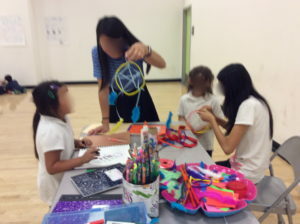 It was listening to children that most opened my mind to seeing possibility, not just problems, and to considering things that had never occurred to me before. The children of today are growing up in a reality that is different than any of us have experienced, and we can learn to see in new ways by attending to their views. As the Guatemalan poet Otto René Castillo wrote, “It is beautiful to love the world with the eyes of those not yet born” – which I take to mean seeing with the eyes of those who have not yet been damaged by the world we are bequeathing to them. –Fred Erickson (personal communication) suggests that we look for where students’ eyes “light up” – that spark of enthusiasm that is an indicator of their inner engagement (or “animation”) with words, ideas, people. At B-Club we try to follow kids to see where they light up. Because kids have great freedom of movement in our club (unlike in most classrooms), we can see what they choose to do, who they choose to interact with, in what language, in what ways. Where and how do they connect? Retreat? Withdraw? Move on? This is a way of grounding our study of love, as in love for the things we are teaching and learning, and the people we are teaching and learning with. –We can look at love as a quality of interaction, such as in the disposition to orient to others or not. We can consider the conditions that support people in stepping in to relationships, and crossing borders (linguistic, cultural, and more), as well as those that may keep them from doing so. Where, when and how are different kinds of borders policed? Where, when and how are they more safely crossed? –We can look at overt and covert expressions of love, by children and adults. In B-Club, we found that children very freely expressed love to adults, in both spoken and written words, and in physical gestures. Adults, having been socialized not to cross lines of “inappropriate” adult-child school relations, seemed reluctant to speak the word “love.” Adults also tended to follow school rules of giving “sideways hugs” to avoid the sexual innuendos of direct body hugs. (This often resulted in some awkward maneuvers, as adults tried to pull away from children’s spontaneous hugs.) But some people (especially undergraduate participants who may not see themselves as “adults”) kept “forgetting” these no-contact rules. So we can ask who expresses love/affection/caring to whom, in what ways, in what activities or contexts. 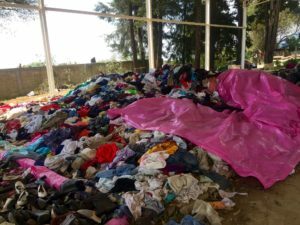 –What other emic ways of expressing care and concern are evident? For example, when and how do people attend to each other’s needs and interests? Share materials? Offer assistance, with translation or other tasks? We can identify moments of open disposition, especially those moments of spontaneous cultural or linguistic translation, as well as times when no such translation was offered, or requested. Who notices when others are or are not included, and what actions are taken either to include or exclude? Here, some attention to lines of power will undoubtedly become important, as we consider who gets included or excluded, and/or what new categories of power arise. In my last blog I had promised to begin unpacking a series of seeming tensions between a “critical” stance (i.e. focused on naming and changing power relations in the world) and a more “spiritual” one (i.e. focused on compassion, love and acceptance). I don’t have it in me to do this right now. I’m not feeling balanced enough, in the current national state of affairs. I’m struggling to find a way forward, grounded in love and solidarity. So for now I will simply post my new post-election commitments. I share them in order to make them public, hold myself accountable, and encourage you to form your own commitments as well. (1)Rethink my priorities in terms of where I spend my time, energy and money. (3) Work in coalition with others to respond to the matters of the day, taking action on immediate items (e.g. defending immigrant rights), and being prepared to respond to whatever comes up. Be mentally, emotionally and physically prepared to respond to hate, with love and a firm stance of solidarity for anyone who is attacked. (3) Spend more time writing for larger audiences, not just academia, and not just the echo chamber of like-minded peers on social media. I will also rethink WHAT I write about, working hard to connect the everyday work I do in schools and communities with the larger issues of the day, and the historical lessons I’ve learned going back to 1980s Central America Solidarity work. (4) Begin immediate monthly donations to these and other groups: ACLU, Southern Poverty Law Center, Black Lives Matter, the Sierra Club, immigrant rights groups, “tithing” a percentage of my income to support causes that are under attack. I will continue to donate any income I generate from public talks to scholarships for immigrant youth. Now it feels more important than ever to put my money where my mouth is, and to support groups who are speaking to life and death issues of the day. 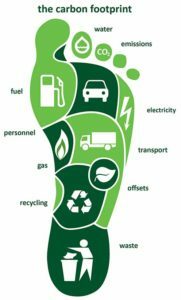 (5) Check my carbon footprint and tax my own carbon use: See carbontax.org. This I say to Donald Trump: Not everyone tries to get away with paying as little tax as possible. While I don’t like my tax dollars going to funding the U.S. war machine, I do believe in paying taxes to offset my use of the world’s resources, and if the government isn’t going to tax me, I will just have to tax myself. I am gravely concerned that the Trump presidency can set us back on the ticking clock to stall Climate Change in ways that we simply cannot afford. (6) Spend more time with people in the world: building community, forming connections, l ooking people in the eye, listening hard: less time talking and more time listening and FEELING. (7) Reinvigorate practices of daily meditation, including the practice of “t onglen:” https://www.youtube.com/watch?v=QwqlurCvXuM: breathing in the pain of the world with the wish of releasing it. (8) Reinvigorate practices of self care in order to stay in this work for the long haul. 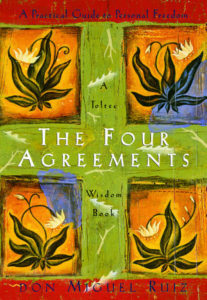 In the past ten years or so, in my life outside Academia, I have delved into a course of independent study: a search for a more heart- and spirit-centered way of thinking than the one that predominates within the walls of the Ivy Tower, or in the modern western world. (Like many before me, I was propelled to this when “things fell apart” in my life and I faced some Life Challenges head on.) I have traversed a terrain of readings by spiritual leaders from diverse traditions, including varieties of Buddhism, Taoism, Sufism, Sikhism, Toltec wisdom, and Christian mysticism; translations of Eastern thought for Western audiences (e.g. 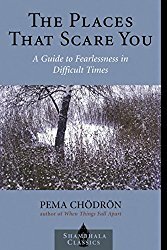 by Jack Kornfield and Pema Chodrön); the work of spiritual psychologists like Tara Brach (www.tarabrach.com); Jungian psychologists (e.g. Karl Jung, Marion Woodman); more edgy/New Agey social science (e.g. 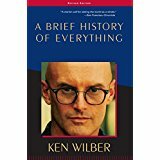 Ken Wilber, Michael Singer); and New Atheistic thinking about the nature of consciousness (Sam Harris). Along with reading, I have tried a variety of practices: various forms of yoga and meditation, along with other embodied ways of getting out of my own head: swimming, hiking, running, and being in nature. Admittedly, in all of this I have only skimmed the surface of traditions that could take a lifetime of study and practice to fully understand. I have not been in search of a singular “answer” or pathway to Enlightenment as much as an understanding of the many ways that humans throughout history have probed the mysteries of the universe and dealt with the challenges of life. Indeed, I have found a common core to these diverse philosophies – one that stands in rather stark contrast with the dominant values of academia and the modern western world. The practices and philosophies all strive to get people beyond ego-centric, left-brained, rational/logical/analytical world views and to tap into something that goes under or over or beyond words. This intuitive, organic, holistic, heart-centered, ego-transcendent orientation to the world has been an important guide for the ways I try to live my life and do my work today. From this immersion in a set of ideas that live outside of my academic world, the mindset that I had when I entered Academia with Ph.D. in hand in 1995 has been considerably shifted. Hopefully, my actions have followed suit. And yet, for the most part I have kept this thinking separate from my public academic work. This self-surveillance is propelled by the wariness that reins within the Academy about anything that might be even remotely “unscientific,” religious, mystical or dogmatic. Things that cannot easily be dissected, tabulated, labeled, categorized and typecast are quite suspect in the Kingdom of the Left Brain. The Cartesian divide of mind and spirit is alive and well, and we police ourselves into maintaining it. Ironically, perhaps, I have done some of the heaviest self-policing when I direct my work to activist-oriented scholars. I expect “push back” if I speak about such “soft” matters as love, kindness, compassion and acceptance, or call for using the word “transformative” rather than “critical.” I am aware that many may see this as too soft a way of responding to power. Injustices must be named head on, confronted, taken to task, pushed back upon. Fo r sure, there are exceptional scholars who traverse the divide between heart and mind, and between criticality and love, with grace and power. Paolo Freire, bell hooks, Gloria Anzaldúa, Sofía Villenas are just a few who come to mind. These heart-centered scholars inspire and embolden me. In recent years, I have taken on the topics of kindness, compassion, and forgiveness in public blogs (e.g. http://www.huffingtonpost.com/marjorie-faulstich-orellana/on-gratitute-genocide-rec_b_4400474.html), in ways that I think also take seriously the importance of recognizing injustice and oppression in the world. My recent book (Immigrant Children in Transcultural Spaces: Language, Learning and Love) calls for researchers to “see with our hearts” and for teachers to embrace a “pedagogy of heart and mind.” In the book I mention Thich Naht Hahn and talk about the “animus.” But I skirt widely around the word “spirituality,” and make no real mention of the many other influences on my thinking or on my life – perspectives that are rarely heard in academia. My silence makes me complicit in shoring up the Cartesian divide. But I’m feeling bolder now. Perhaps because there is more opening for such thinking: a growing recognition of the limitations of rational empiricism, as well as the limits of criticality. Perhaps, too, I feel a little clearer about how seemingly contradictory perspectives on the world can and do come together, how they can work in productive tension to point to new possibilities. I am more and more convinced that what the world really needs is a fundamental transformation in the ways we think about everything – not just critical analyses that simply topple or invert power, but then re-create it in some new form. I’ll continue to reflect on our ongoing practice at B-Club, and highlight the academic theories that inform that work. But I’ll try to make more visible these other influences on my practice, and the ways that I am seeking to integrate them into my voice as both a scholar and a social justice advocate. (4) naming and claiming social positionality, and questioning all forms of ego-identification. So once again I will put out a plea to readers. Do you see the comment box below? I hope you will embolden yourself to write something there. Give me some “push back,” if you will. Some words of inspiration, if you feel inspired. Did something resonate for you? Give you pause? Something you want to think more about, or offer readers a different way of viewing? Something you want to let settle, and see where it lands? B-Club 2016 is in full swing now. The shift in perspective always surprises me, though I’ve seen it every year. The initial confusion that most of the young adult participants have when they first enter this space begins to fall away. Their critiques of it get suspended, at least a little. Their resistances erode. They begin to open themselves to the experience, to develop a new understanding of what we are doing, and contemplate why. They start asking new questions about the nature of teaching and learning, and thinking about transformative education in new ways. The entry point is usually experiential – participants feel their way to new understandings based on their own participation in this space. For some the leap is an easy one; for others it moves them into zones of discomfort. I’m always particularly impressed by the ones who admit to discomfort, and are willing to sit, wrestle, or ride with it. It’s so much easier to resist discomfort than to work with it. Our class meets for an hour before the kids come in. We talk about the theory we’ve read that week, and use their reflective notes to deepen our connections between theory and practice. This year, this theory talk takes place at 2:30 on Friday afternoon, after the Grugs have been in classrooms, and taking their own graduate school classes, all week. Not an easy time to engage in heady discussions about zones of proximal development, shifting and shared expertise, repertoires of cultural and linguistic practice, and other such Academese! During that first hour I see how hard the class is trying to remain awake and engaged, but how low their energy really is. At 5:00 the kids go back to their regular after-school program home, and the Grugs, Ugs, grad students and I gather in a circle to debrief. What struck me most last week was to see how much the energy shifted between 3:30 and 5. Suddenly the Grugs were animated, their eyes bright as they shared from their experiences with the kids. Laughter punctuated the room. They really wanted to share, to the point that we all seemed to forget it was 5:30 at the end of a long week. 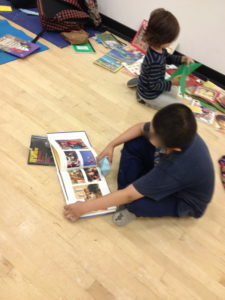 Of course, the Grugs wonder how – or even if – such experiences can be brought into classrooms, and whether the kind of learning that they see close up in this space would even count as “learning” in school. There are many questions that we will continue to explore as we move through the quarter together. For now, we are focused on seeing kids and experiencing learning in new ways, using our practice to deepen our understanding of the theories we are reading, and using the theories as new lenses into what we see and feel. In future blogs I will explore a bit further this seeming paradox of preparing for the future by being fully where we are right now. Nasir, S. N., Roseberry, A. S., Warren, B., and Lee, C. Learning as a Cultural Practice: Achieving Equity through Diversity (pp. 489-504). The Cambridge Handbook of the Learning Sciences. Rogoff, B. (1994). Developing understanding of the idea of community of learners. Mind, Culture and Activity. 1(4). 209-227.